We will drive passing Nyboder (one of the oldest neighbourhood in Copenghagen) and Gefion Fountain. We continue our tour with a visit to the City Hall, the Stock Exchange and the Amalienborg Palace: four identical buildings, guarded by soldiers in traditional bearskin hats. In the palace grounds, the statue of King Frederick V, on horseback depicted as a Roman emperor, is considered one of the most important equestrian statues in the world. Then we continue with a city drive having the opportunity to passing by Nyhavn Canal, The Navy Church and the Stock Exchange. Next on our itinerary is Christiansborg Palace on the islet of Slotsholmen, which, being home to Denmark's most important institutions, is fittingly nicknamed the “Island of Power” and visit the Royal Receptions Rooms inside the palace. 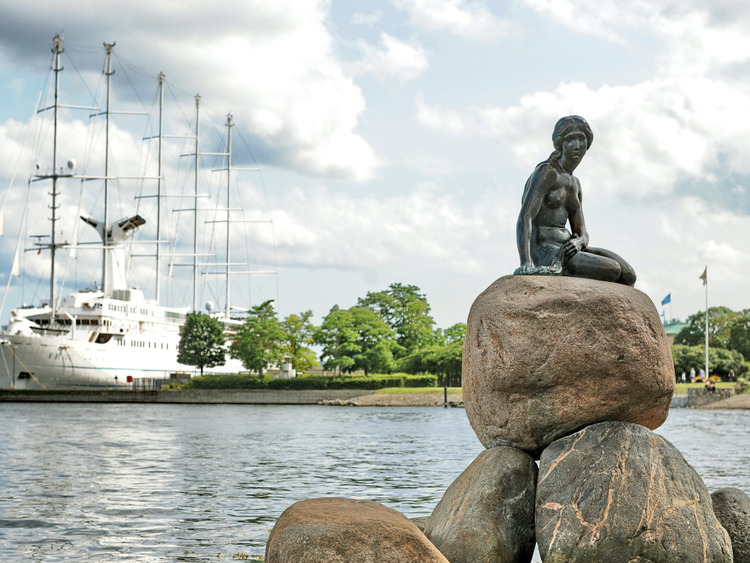 We will end our tour with a drive passing by* the **National Museum, the **City Hall, Tivoli Gardens* and the Rosenborg Castle Gardens, ending the tour by Ocean Quayby the ship.